Breaking the mould – how radiographer reporting is better for the patient. Professor Nigel Thomas from the University of Salford explains why allowing a radiographer to report X-rays is not a threat to the radiology profession. I’ll nail my colours to the mast straight away, and state that I have been an active proponent of radiographer role extension in general, and radiographer reporting in particular, for over 20 years. I first became involved in mid 1995 when the University of Salford (then University College Salford) asked for help in setting up a formal plain film reporting course for radiographers. The context for this was the unresolved tension between the large numbers of unreported films in most X-ray Departments and the realisation that radiographers as a group of professionals were often working below their full potential – a real untapped resource within our own departments. Becoming involved in the process seemed to me to be a very obvious thing to do, and I have never had any regrets about doing so. I don’t believe that I have contributed to the demise of my profession, and I certainly don’t feel like a “turkey voting for Christmas”. Over the years since then, radiographers have increased the breadth of their involvement in reporting (to currently include some types of MR scanning and CT, as well as gastro-intestinal contrast studies amongst other things), as well as developing a career structure which encompasses working at Advanced Practitioner and Consultant Radiographer levels (the latter being a particular success in the world of breast imaging, where consultant radiographers can follow an entire patient journey by being able to perform and report mammograms, perform and report breast ultrasound and perform guided biopsies, as well as having counselling skills). It was clear from the beginning that there would be opposition to the idea of radiographer reporting, both from the radiology establishment, and, to a much lesser extent, from within the radiography profession itself. In order to ensure that the process of creating reporting radiographers was as good as it could be, certain quality measures were put into place. No radiographer can report in the UK without a recognised qualification (at PgC or Pgd level) gained from a higher education institution. In the context of the workplace, reporting is done within an agreed scheme of work (signed off by the employing Trust Board), and regular audit is undertaken. In 2017 between 15 and 20% of all plain film examinations in the UK are reported by radiographers, and there are now over 50 people in consultant radiographer grades around the country. Reporting radiographers have been “part of the furniture” in X-ray departments for over 20 years, and generations of junior doctors, nurses and physiotherapists have been familiar with using them as a port of call for advice on the interpretation of images. The reporting shortfall still persists, and patients are being put at risk by our failure to report their examinations in a timely and accurate way – would we rather leave them unreported? Radiologists have more than enough to do – there are too few of us, and our time is used to apply our unique skill set to report labour intensive complex examinations, undertake time-consuming interventional procedures, and provide a commitment to the support of MDTs. There is a substantial body of sound scientific evidence (published in the major UK peer-reviewed radiological journals) that radiographer reporting works, is safe, and is of a comparable standard to that provided by medical staff in many areas. Radiologists have been involved in this process from day 1 – advising on course content, giving lectures, acting as examiners and external examiners, and, most importantly, acting as mentors to radiographers in training at their places of work. The final irony for me, as we progress into the 21st century is that, despite all the above, it is clear that some of my colleagues are much keener to gain help from computers than humans. Don’t get me wrong, I’m sure that Computer Aided Design (CAD) and Artificial Intelligence (AI) will have a huge role to play in the routine provision of a radiology service in the near future, but reporting radiographers can help patients here and now. Judith Kelly, Peter Hogg, Suzanne Henwood. The role of a consultant breast radiographer: A description and a reflection. Radiography, Volume 14, Supplement 1, e2-e10, 2008. Brealey, S., Hewitt, C., Scally, A., Hahn, S., Godfrey, C., and Thomas, N.B. Bivariate meta-analysis of sensitivity and specificity of radiographers’ plain radiograph reporting in clinical practice. British Journal of Radiology, 82, (979), 600-604, 2009. Born and raised in Cornwall, I qualified from St Bartholomew’s Hospital in London in 1981 having gained an intercalated B.Sc in Biochemistry in 1978. My radiology training was undertaken on the North Western Training Scheme (based in Manchester), and I was appointed as Consultant Radiologist to North Manchester General Hospital in 1989.In 2005 I moved to a Consultant post at Trafford General Hospital and retired as a full-time NHS Consultant Radiologist in 2015. I currently work as an independent Consultant Radiologist and, amongst other roles, am a mentor to Reporting Radiographers at two large Foundation Trusts in the Manchester conurbation. I first became involved in the process of radiographer role development at the University of Salford in 1995, and was appointed as an Honorary Professor there in 2000. I have over 40 publications in scientific journals, and am a co-author of a standard textbook of Obstetric and Gynaecological Ultrasound scanning. Dementia is the leading cause of disability in people over 60 years old. Imaging is increasingly used to diagnose dementia to complement physical, cognitive and mental examinations. Here, Dr Vanessa Newman explores the role of imaging in detecting this cruel and debilitating illness that effects over one million people in the UK. The impact of dementia on informal caregivers – such as family members and friends – is substantial and can result in physical and mental illness, social isolation and poor quality of life for them. Although their participation in the care of dementia patients may alleviate burden on healthcare systems and residential care homes, informal caregiving is not without societal costs caused by absenteeism from work. Fig 1. Source: Jovalekic et al. EJNMMI Radiopharmacy and Chemistry (2017) 1:11. doi:10.1186/s41181-016-0015-3 (Copyright held by Piramal Lifesciences). with progressive dementia and atypical age of onset (usually <65 years of age). Fig 2: 18F-labelled imaging agents have the ability to detect the presence of β-amyloid neuritic plaques in the living brain (immunohistochemistry with monoclonal 6E10 Aβ antibody). Fig. 2: Source: Jovalekic et al. EJNMMI Radiopharmacy and Chemistry (2017) 1:11. doi:10.1186/s41181-016-0015-3 (Copyright held by Piramal Lifesciences). The National Institute for Health and Care Excellence (NICE) is reviewing guidance on the organisation and delivery of diagnostic services, due for publication in August 2017. The scope of the revised guidance will encompass imaging in neurodegenerative diseases, as part of the wider radiology/nuclear medicine service in the NHS. This will affect not only patients, but all staff who use, refer and interpret diagnostic services in both primary, secondary and tertiary care. Alzheimer-Europe, The prevalence of dementia in Europe. 2015, Alzheimer Europe: Luxembourg. Prince, M., World Alzheimer Report 2015: The Global Impact of Dementia – an analysis of prevalence, incidence, cost and trends, A.s.D.I. (ADI), Editor. 1015: London. Prince, M., World Alzheimer Report 2014: Dementia and Risk Reduction – an analysis of protective and modifyable factors, A.s.D. International, Editor. 2014, Alzheimer’s Disease International (ADI): London, UK. NICE, Clinical guideline 42: Dementia: Supporting people with dementia and their carers in health and social care. 2006, National Institute for Health and Care Excellence (NICE): London, UK. Deckers, K., et al., Target risk factors for dementia prevention: a systematic review and Delphi consensus study on the evidence from observational studies. Int J Geriatr Psychiatry, 2015. 30(3): p. 234-46. Kivipelto, M. and F. Mangialasche, Alzheimer disease: To what extent can Alzheimer disease be prevented? Nat Rev Neurol, 2014. 10(10): p. 552-3. Catafau, A.M. and Bullich, S., Amyloid PET imaging: applications beyond Alzheimer’s disease. Clin Transl Imaging, 2015. 3(1): p. 39-55. Sabri, O., et al., Florbetaben PET imaging to detect amyloid beta plaques in Alzheimer’s disease: phase 3 study. Alzheimers Dement, 2015. 11(8): p. 964-74. Sabri, O., et al., Beta-amyloid imaging with florbetaben. Clin Transl Imaging, 2015. 3(1): p. 13-26. Vos, S.J., et al., Prediction of Alzheimer disease in subjects with amnestic and nonamnestic MCI. Neurology, 2013. 80(12): p. 1124-32. Bloudek, L.M., et al., Review and meta-analysis of biomarkers and diagnostic imaging in Alzheimer’s disease. J Alzheimers Dis, 2011. 26(4): p. 627-45. Sperling, R.A., Karlawish, J., and Johnson K.A., Preclinical Alzheimer disease-the challenges ahead. Nat Rev Neurol, 2013. 9(1): p. 54-8. Jovalekic, A., et al., New protein deposition tracers in the pipeline. EJNMMI Radiopharmacy and Chemistry, 2017. 1(1). Roe, C.M., et al., Amyloid imaging and CSF biomarkers in predicting cognitive impairment up to 7.5 years later. Neurology, 2013. 80(19): p. 1784-91. Dubois, B., et al., Advancing research diagnostic criteria for Alzheimer’s disease: the IWG-2 criteria. The Lancet Neurology, 2014. 13(6): p. 614-629. Perret-Liaudet, A., et al., Risk of Alzheimer’s disease biological misdiagnosis linked to cerebrospinal collection tubes. J Alzheimers Dis, 2012. 31(1): p. 13-20. Kang, J.H., et al., Clinical utility and analytical challenges in measurement of cerebrospinal fluid amyloid-beta(1-42) and tau proteins as Alzheimer disease biomarkers. Clin Chem, 2013. 59(6): p. 903-16. Ng, S., et al., Visual Assessment Versus Quantitative Assessment of 11C-PIB PET and 18F-FDG PET for Detection of Alzheimer’s Disease. Journal of Nuclear Medicine, 2007. 48(4): p. 547-552. Perani, D., et al., A survey of FDG- and amyloid-PET imaging in dementia and GRADE analysis. Biomed Res Int, 2014. 2014: p. 785039. Piramal, NeuraCeq (florbetaben 18F) Summary of Product Characteristics. 2015, Piramal Imaging Ltd.
EMA. Human Medicines: European public assessment reports. 2016 [cited 2016 July]; Available from: http://www.ema.europa.eu/ema/index.jsp?curl=pages/medicines/landing/epar_search.jsp&mid=WC0b01ac058001d124. Johnson, K.A., et al., Appropriate use criteria for amyloid PET: a report of the Amyloid Imaging Task Force, the Society of Nuclear Medicine and Molecular Imaging, and the Alzheimer’s Association. Alzheimers Dement, 2013. 9(1): p. e-1-16. Johnson, K.A., et al., Update on appropriate use criteria for amyloid PET imaging: dementia experts, mild cognitive impairment, and education. J Nucl Med, 2013. 54(7): p. 1011-3. Scarsbrook, A. and Barrington S., Evidence-based indications for the use of PET-CT in the United Kingdom 2016, R.C.o.P. Royal College of Radiologists, Editor. 2016, RCR, RCP: London, UK. Bang, J., Spina, S., and Miller, B.L., Frontotemporal dementia. The Lancet, 2015. 386(10004): p. 1672-1682. Kobylecki, C., et al., A Positron Emission Tomography Study of [18f]-Florbetapir in Alzheimer’s Disease and Frontotemporal Dementia. Journal of Neurology, Neurosurgery & Psychiatry, 2013. 84(11): p. e2-e2. Barthel, H., Seibyl, J., and Sabri O., The role of positron emission tomography imaging in understanding Alzheimer’s disease. Expert Rev Neurother, 2015. 15(4): p. 395-406. Pontecorvo, M.J., et al., A randomized, controlled, multicenter, international study of the impact of florbetapir (<sup>18</sup>F) PET amyloid imaging on patient management and outcome. Alzheimer’s & Dementia: The Journal of the Alzheimer’s Association. 11(7): p. P334. NICE. Dementia – assessment, management and support for people living with dementia and their carers: GUIDANCE. NICE Guidance 2016 [cited 2016 June]; Available from: https://www.nice.org.uk/guidance/indevelopment/gid-cgwave0792. Vanessa’s background is in neurology (epilepsy and Down’s syndrome) and more recently in the field of neuroimaging in dementia. She has worked at Piramal Imaging since early 2015 and during this time has had the pleasure of seeing how quickly this area of medicine is moving, with increasing methods and imaging diagnostics available for use with people living with dementia. Piramal is a British Institute of Radiology corporate member. Has imaging become too effective? Professor Adrian Dixon has a worldwide reputation as an academic and a radiologist and has published extensively on body and musculoskeletal CT and MR imaging. He will deliver the BIR Toshiba Mayneord Eponymous Lecture called “Has imaging become too effective?” at UKRC on 7 June 2016 at 13:00. Read this fascinating interview with him and get a taster of this “not-to-be-missed” presentation. You will be delivering the BIR Toshiba Lecture at UKRC this June. Your lecture is called “Has imaging become too effective?” Can you give us a “taster” of what you mean by this? “You should say what you mean!” as the March Hare said in “Alice’s Adventures in Wonderland”. What do people mean by “effective”? Effectiveness is only an appropriate term if qualified. Modern imaging certainly is effective at increasing the diagnostic confidence about a diagnosis and excluding certain diagnostic possibilities. It has taken a long while to prove that it is effective in saving lives. It has become so effective that, in many conditions, an image can be rendered to make the diagnosis obvious to the man in the street. And clinicians now tend to refer for imaging without stopping to think! It has also become so effective in demonstrating probably innocuous lesions that the worried well can become even more of a hypochondriac! In some societies this can lead to over usage, excessive radiation exposure and increased costs. If imaging is “too effective” – is radiology still a worthwhile career choice? Yes! It is the most fascinating of all medical careers and every day a radiologist should see something that he or she has never quite seen before. The radiologist is the ultimate medical detective and cannot conceivably get bored. Indeed radiologists get reimbursed to solve crossword puzzles on elaborate play stations! What have been the three biggest challenges for you in your career? Radiologists have had to learn and relearn their skills at frequent intervals during their careers. Radiology will only survive as a specialty if the radiologist knows more about the images, the technical aspects and the interpretative pitfalls than their clinical colleagues. Did you ever meet Godfrey Hounsfield (inventor of CT imaging) and what were your memories of him? I did indeed meet Sir Godfrey on numerous occasions. His humility and “boffin style” of science greatly appealed. Some of the stories at the numerous events surrounding his memorial service were truly fascinating, including his inability to accept any machine which he could not understand without taking it to bits and then reassembling it! Given the financial pressures on healthcare, will the required investment in the latest imaging technology be affordable? Some of the developments in personalised medicine may be unaffordable. Generic contrast agents will continue to be used in large volumes. The cost of creating “one off” agents may prove unjustifiable. Why would you encourage someone to join the BIR? Because of the fun of interdisciplinary discussion and the pride of being a small part of the oldest radiological society! Does spending more money on equipment mean a better health service? I passionately believe that prompt access to imaging makes a major contribution to excellent healthcare. But that does not necessarily mean that every hospital has to have every machine at the top of the range. A rolling programme of equipment replacement is an essential part of delivering a high-quality radiological service. An electrical power cut during the middle of a tricky adrenal CT-guided biopsy! If Wilhelm Roentgen could time travel to Addenbrooke’s hospital, what would he be most impressed with? The sheer size and the number of staff of the radiology department! When its 2050, what will we say is the best innovation of the 21st century in healthcare? Data mining and health statistics. All my previous bosses have influenced my career. I have learnt something from each of them. All of them stimulated me to ask the question “why are we doing things this way”? “Can it be done better”? Helping to make the Addenbrooke’s Radiology department one of the most modern in the UK. What advice would you pass on to your successor? Never give up, try, try and try again and remember “the more you practice, the luckier you get”. That I have been lucky to have had a succession of challenges in the various roles that I have held, all of which have kept me on my toes. Leaving salt of the earth friends as I have moved from role to role. If you could go back 20 years and meet your former self, what advice would you give yourself? Do not worry so much – it will all be alright on the night. That I support Everton Football Club. For influencing the careers of younger colleagues – hopefully to their benefit! Professor Dixon will deliver the BIR Toshiba Mayneord Eponymous Lecture called “Has imaging become too effective?” at UKRC on 7 June 2016 at 13:00. With a steady and sustained rise in imaging workloads driven by an ageing population, new and evolving technologies, and a drive for patient-focused care, radiology departments are turning to new ways to provide services. Nick Woznitza, Clinical Academic Reporting Radiographer at Homerton University Hospital, east London, and Canterbury Christ Church University, Kent, makes the case for radiology departments meeting these ever-increasing demands through radiographer reporting. Using the example of his experience in the neonatal department of Homerton University Hospital he explains how, with robust research and training, and the appropriate use of skill mix, departments can offer a safe, efficient and patient-focused service. Expansion of the neonatal medicine department at Homerton produced an increase in plain imaging workload and, coupled with a shortage of consultant paediatric radiologists, meant that the neonatal X-rays did not receive a timely definitive radiology report. The neonatal unit is a large, tertiary referral facility with 46 cots, 900 admissions and 13,600 cot/days per annum in 2013–2014. In order to provide an optimal service to these vulnerable patients, it was agreed to develop a radiographer-led plain imaging neonatal reporting service. A bespoke, intensive training programme was designed in collaboration with radiology and neonatal medicine at Homerton, Canterbury Christ Church University and the paediatric radiology department of the Royal London Hospital. The radiographer was already an established reporting radiographer, interpreting skeletal and adult chest X-rays in clinical practice, so the training programme focused on the unique physiology and pathology of neonates. Training consisted of self-directed learning, pathology and film viewing tutorials, practice reporting, and attendance at the neonatal X-ray meeting at the Royal London Hospital. This immersive experience was achieved via secondment for one and a half days a week. Upon qualification of the reporting radiographer, all reports were double read by a consultant paediatric radiologist, to successfully manage the transition into practice whilst maintaining patient safety in line with best practice recommendations. To ensure that the performance of the trained reporting radiographer was comparable to that of a consultant paediatric radiologist a small research study was conducted (Woznitza et al, 2014), supported by research funding from the International Society of Radiographers and Radiographic Technologists (ISRRT). This study confirmed only a small number of clinically significant reporting radiographer discrepancies (n = 5, 95% accuracy), comparable to the performance of the paediatric radiologists. This study provided further evidence that the introduction of radiographer neonatal plain imaging reporting has not adversely impacted patient safety or care. Activity figures (July 2011 – September 2014) were obtained from the radiology information system to determine the number of X-ray examinations performed and the proportion receiving a radiographer report. An average of 285 X-rays were performed each month, however, there was a marked increase in March 2012 from 158/month (July 2011 – February 2012) to 328/month (March 2012 – September 2014). The radiographer has made a sustained, significant contribution to the reporting service, interpreting an average of 92.5% of the X-ray examinations and responsible for >95% of examinations in 20 of the 36 months. Building on the collaboration between radiology and neonatal medicine, a weekly neonatal X-ray meeting was introduced. Facilitated by the reporting radiographer and paediatric radiologist, this forum has increased radiology–clinician engagement and in turn patient care, facilitated discussions and acts as an excellent educational resource. Recognising the importance of this meeting, the senior neonatal clinicians requested that the reporting radiographer convene the meeting when the paediatric radiologist is absent on leave. The introduction of a radiographer neonatal X-ray reporting service demonstrates that, with collaboration and support, novel approaches can help provide solutions to increasing activity in radiology in an effective, efficient and patient focused manner without compromise on patient safety. Collaboration and team work are fundamental when undertaking service delivery change. The support of both the radiology department, under the leadership of Dr Susan Rowe, and the neonatal unit, led by Dr Zoe Smith with mentorship from Dr Narendra Aladangady, has been essential in the success of this service. Nick qualified as a diagnostic radiographer from the University of South Australia and, following several roles in rural and remote Australia, moved to the UK in 2005. An accredited consultant radiographer with the College of Radiographers, Nick reports a range of plain imaging examinations including skeletal, chest and neonatal X-rays. He has recently taken up a clinical academic radiography role at Homerton University Hospital and Canterbury Christ Church University, with this blended role facilitating image interpretation teaching to radiographers and other health professionals and his research into the accuracy and impact of radiographer reporting. Woznitza N, Piper K, Iliadis K, Prakash R, Santos R, Aladangady N. Agreement In Neonatal X-ray Interpretation: A Comparison Between Consultant Paediatric Radiologists and a Reporting Radiographer. International Society of Radiographers and Radiographic Technologists 18th World Congress. June 2014; Helsinki, Finland, 2014. Is the NHS failing to leverage transformation from technology? The NHS spends a great deal on IT but rarely embraces the service redesign opportunities this offers. Dr Adam Hill, Chief Medical Officer at Sectra, explores how this could change. The NHS spends significant sums on its valuable IT infrastructure. But despite this investment, our health service often fails to embrace the service redesign opportunities this technology presents, with major deployments still often layered onto existing services. Redesigning services can dramatically improve care and save substantial amounts of money. Yet missed opportunities mean that we have under-utilised assets, and all this in an era of more for less. The real opportunity to reshape the delivery of clinical services hand in hand with the deployment of IT programmes can be seen by taking a glance at the recent history of diagnostic services within the NHS. Radiology and pathology are both service delivery specialities within modern day medicine. Consultants from neither speciality have their name above a patient’s bed, but both are mission critical diagnostic specialities, and the bedrock upon which modern day healthcare is based. One of these specialities has already managed to embrace technology at a remarkable pace. The other has very effectively embarked on service redesign. Yet neither has achieved both—something that must happen in future in order to maximise benefits for patients, enabling a shift to a new era in which cost-effective health outcomes are commissioned. Radiology has shifted to digital very rapidly in the NHS. The National Programme for IT (NPfIT) accelerated coverage of picture archiving and communication systems (PACS) to in excess of 95% within 18 months. Despite widely publicised criticism, NPfIT revolutionised the delivery of imaging diagnostic services in the UK. However, the potential to reduce inequality of care provision and improve cost-effective outcomes have been less successfully realised, ultimately impacting upon professional working conditions. Not only does service redesign impact the health of our population at risk, but it can have any number of indirect benefits. As just one example, it could mean freeing up and consolidating vastly under-utilised real estate in the NHS. Clinicians providing a diagnostic service with a digital workflow can arguably report from an office, a hot-desk reporting hub, from home or whilst on the move with equal fidelity. But radiology is yet to really harness this opportunity. Pathology, in contrast, has undergone a significant service redesign following the Carter Review in 2008, focused on reducing costs by 20%. However, this diagnostic service has failed to realise the impact upon equality of outcomes and cost reduction that come with implementing a digital workflow, despite the widely held anticipation that pathology will soon be the next big digitisation in healthcare. Embracing IT infrastructure at the same time as the service redesign opportunities that new deployments offer can unlock the potential to transition clinical care provision from centralised environments, through to decentralised models and distributed networks of care. In diagnostic services, this would mean the ability to balance workloads across a region. It would give hospitals anywhere in a region the ability to access clinicians with the right skillsets to prepare a specimen, perform an examination or report a finding. Modern PACS systems are cross-enterprise document sharing, or XDS , enabled. They can allow federation of workflow across a region, something that has previously been balkanised by different PACS vendors. This workload balancing can allow hospitals to meet ever stringent service level agreements, whilst improving specialist job satisfaction. Put simply the tasks of IT implementation and service redesign are currently decoupled. It is very infrequent that a hospital looks for IT to support a service transformation programme. It is equally rare that hospitals will use the deployment of an IT infrastructure project as an opportunity for service redesign to unlock efficiency savings. We must now move away from a situation where IT is simply layered onto the existing healthcare service as a result of analysing current workflow to inform IT architecture. The focus must now be on the use of IT to support hospitals and the people within them, whether that is the clinician, the radiology service manager, the CEO, the chief financial officer or the patient. Innovators will embrace the opportunity to use IT to redesign healthcare, achieving affordable health outcomes today; the risk of being a late adopter is that cost efficiencies are not realised until much later, failing patients that can’t wait for our health system to meet their needs tomorrow. Adam is a dual-qualified Clinician and Mechanical Engineer, previously having co-founded and led a successful university-based research centre at the interface of both disciplines. 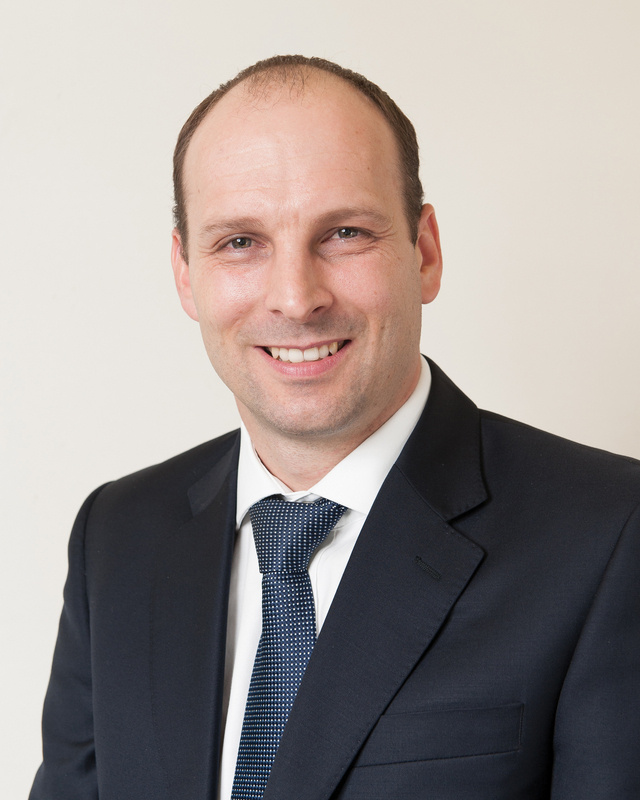 Adam’s expertise is in the research, development and optimisation of medical technologies and healthcare services, with over 100 publications and 8 academic awards in the last 15 years. Having learnt the fundamentals of his clinical trade in the NHS, Adam passed through the Royal Military Academy, Sandhurst, before serving as the doctor to the Household Cavalry Mounted Regiment. Upon retiring his commission, Adam held technical and commercial leadership positions within start-up companies spanning service delivery, skills development and, most recently, technology incubation, before working as a Management Consultant with international clients in the Lifescience and Healthcare industries. During the term of our most recent coalition Government, Adam has provided thought-leadership, advice and content to a handful of its initiatives and programmes. 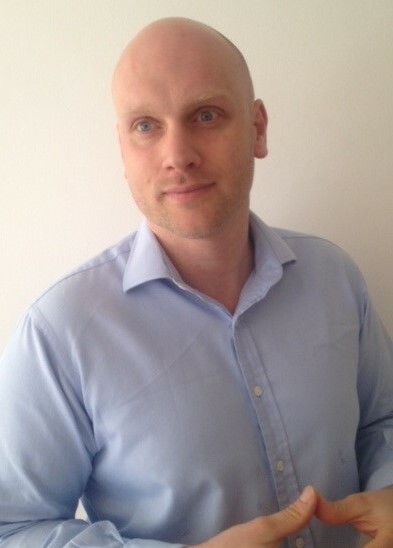 Adam’s current interests include unlocking the value of networked services, believing that the whole is greater than the sum of its parts; the primacy of imaging in the realisation of personalised medicine; and powering efficiencies in care delivery through standardisation. Sectra has a rapidly growing share of the RIS/PACS* market the UK, a powerful product portfolio, and a world-class research and development centre at the University of Linköping; these are our foundation, our building blocks and our brain trust with which we can design, develop and deploy solutions to the most complex of problems challenging our NHS customers today. Dr Johann Albert, Associate Director, Business Solutions at Alliance Medical, discusses the challenge of varying client requirements in a private diagnostic imaging setting. Unlike most NHS Acute Trusts, who tend to have large static diagnostic imaging departments located around a single or a small group of hospitals, private diagnostic imaging providers tend to have numerous static locations, a central patient management centre and varying fleet sizes of mobile scanners that move around on a daily basis. Private diagnostic imaging providers also have to contend with varying requirements from their customers that include scan-only services, book-scan-and-report services, or even report-only services. Service levels vary from customer to customer and the actual process of managing a patient differs between NHS, self-pay, medical insurance and medico-legal customers. This variability highlights the fact that any clinical system deployed within a private diagnostic imaging provider needs to be able to cope with different workflows within the same location. It also implies that the clinical systems need to manage the end-to-end patient pathway in a manner that is completely separated from a fixed geographical location, as different parts of the patient pathway can take place in different locations. An example of this is where a patient calls the patient management centre to make a booking, the scan takes place at one of the scanning locations and the clinical report is completed by a tele-radiology provider. The clinical systems should therefore understand the concept of a workflow and a distributed network of scanning locations, as well as have the ability to move information seamlessly among various locations in accordance with the desired pathway. The customer base of a private diagnostic imaging provider also varies from a commercial perspective. There are significant differences in customer requirements for management information, payment calculations and billing processes. This is on top of more intricate billing requirements such as factoring, zero-rated VAT or VAT exempt treatments that apply to some, but not all customers. Some of the private diagnostic imaging providers in the market started out in the pre-digital era and in the early days most diagnostic images were captured, stored and reported based on film. Over time RIS and PACS clinical applications appeared and of course private diagnostic imaging providers adopted these as appropriate. Since these technologies were still in their early phases of development, the designs tended to reflect the limitations in technology at the time and it was focussed on serving the needs of specific contracts. Some of these providers also grew by acquiring other smaller companies with their own legacy systems in situ. These contributing factors typically result in a variety of RIS and PACS applications installed in the same organisation, all of which serve different purposes, different contracts and manage different parts of the patient pathway. To any manager the obvious implications of this scenario are, amongst others, large management overheads, a high degree of complexity in the technology solutions, various manual processes and an inability to rapidly change to accommodate customer needs. To move from a situation where there are multiple RIS and PACS applications in place to a single unified system carries some significant challenges. Engrained manual business processes, distributed staff locations, radiologist availability and varying customer expectations are all significant challenges to overcome and manage. This is not even talking about the technical and logistical issues that a project of this nature would face. Understanding the customers’ needs must form the core of any such change process and this must be layered on top of the requirements from the relevant operational teams. One of the key decision points in the design and deployment of a unified RIS-PACS environment is the balance that needs to be struck between flexibility and standardisation. The flexibility within the system to accommodate operational needs and customer requirements is very important for any commercial organisation. On the other hand it is no use accommodating different customer requirements if these cannot be delivered to a consistent level of quality and to a consistent service level. Although there is a degree of overlap, these two system properties tend to be opposing forces in terms of the demands they place on a clinical systems platform. A good balance can only be achieved through proper engagement with customers and the relevant operational teams. • It must have an integrated billing engine that can cope with all the requirements from different customers. • It must manage the entire end-to-end patient pathway in the absence of a hospital information system (HIS), which includes multiple inbound channels and multiple outbound channels. • It must allow for different workflows to be accommodated within the same clinical application that is a specific property of the contract associated with the patient. • It must understand and cope with a distributed network of scanning facilities, some of which are static and some of which are mobile. • It must allow for electronic interfaces and for the integration of any new developments to take place in a consistent way that is easy to manage. • It must allow the private diagnostic imaging provider to change and configure the system as an inhouse function and not one that requires vendor intervention to the degree it is prevalent today. • It must accommodate different clinical workflows that include scan only, scan and report, report only, double reads, report audits and also remote reporting. This list is not meant to be comprehensive, but it is intended to highlight the requirements that a private diagnostic imaging provider will view as essential, as opposed to most radiology departments within a hospital setup. This set of criteria does point out the fact that most of the incumbent RIS vendors, and to a lessor extend the PACS vendors, do not meet all the criteria. It is therefore inevitable that some degree of customisation and development will be required for any clinical systems platform to be successful. • Change: with any new system, there will be an element of change. The obvious example is the fact that staff members will be using a different clinical system to manage their daily workloads. There is however several areas of change that often get overlooked in a project of this nature. These include items such as the mechanism for how radiographers can move an image from the scanner to a specific radiologist. This is a simple task, but one which is core to the operation of any diagnostic imaging unit. The overall system might work very well, but if the key tasks that staff members need to perform on a daily basis are overlooked then it is easy to undermine the success of the entire project. • Process standardisation: implementing a single unified RIS and PACS implies that the same business process will be followed at each location. To assume that each scanning unit operates in exactly the same way will be a mistake though. Local business processes will have evolved over time and are a function of location-specific factors, customer-driven preferences, individual staff influences and of course head office standard operating procedures (SOPs). There must be a high degree of focus on ensuring business processes are standardised at each location, in order to accommodate a single RIS and PACS application. Deploying a system that enforces a standardised business process on a business environment that operates in a variety of ways, has the potential to stall the entire project. • Communication: with a workforce scattered around the country and a large proportion of it serving a mobile fleet, it is no surprise that communication is one of those tenacious challenges that needs constant attention. No single communication method will suffice in this situation and it is up the project team to use any and all means available to ensure the relevant messages reach the correct target audience. These methods can include anything from formal letters, face-to-face meetings and even social media. Social media is of course playing an increasingly important role in most people’s daily lives and it is a very useful tool in the business environment as well. External stakeholders need to be included at the appropriate times. • Coordination: the nature of most private diagnostic imaging providers is such that different parts of the patient work flow can take place at different locations. The payer of the service is mostly the determining factor that dictates which element needs to take place where. This is however a moving feat for the simple reason that patients from multiple contracts can be scanned at any scanning unit. The respective units therefore need to cope with different contract workflows at different times throughout the day. The implications for implementing a RIS and PACS as a unified platform is therefore that it is easy to undermine the company’s ability to service a patient if the implementation of all the different supporting systems are not well coordinated. The latest technologies around work flow management will allow most private diagnostic imaging providers to improve productivity as well as quality at the same time, but it is important to realise that any project of this nature and scale requires just as much energy to manage the business change process as it requires to change the technical system. Even though the journey to a single RIS-PACS platform might have its challenges, it is our firm opinion that the benefits far outweigh the costs and the risks. Dr Alberts is a qualified medical doctor and his main clinical experience is in emergency medicine, both in the UK and South Africa. his experience includes private, public and military healthcare systems. In 2007 he made a career choice that deviated away from clinical medicine towards healthcare management. His passion is to design and implement healthcare services to ensure that more patients can benefit from what is already a scarce resource. After completing an MBA at Oxford University, Johann joined BMI Healthcare as a Programme Director, where he managed four divisions that included Physiotherapy, Health Screening, Speech and Language Therapy and Occupational Health. Johann joined Alliance Medical in 2012, first working at group level designing a quality strategy, implementing benchmarking and assisting on various projects around the company. At present Johann is directing the RIS-PACS implementation project, which will be completed in early in 2015.